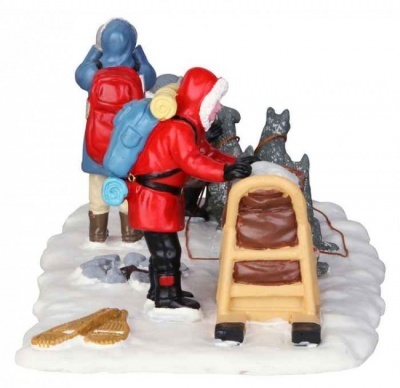 Lemax North Pole Or Bust Table Accent depicts a snow scene of a dogsled team taking a small navigational break in a north pole journey. 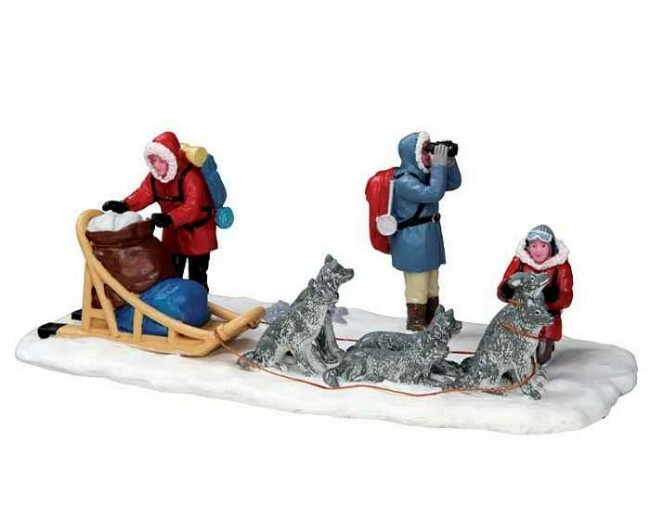 North Pole or Bust is a Winter themed Lemax table piece addition suited for placement in a Lemax seasonal Christmas miniatures display. Another popular addition to the Vail Village catalogue, joining the collection in 2015. North Pole or Bust comprises multiple figurines mounted on a single snowed base to compliment your seasonal Lemax Village display.